First we take Portglenone, the Mournes, Davagh Forest and Magherafelt … then we take Berlin! The Berlin Marathon is one of the six world major races, attracting 40,000 finishers annually to the streets of the German capital, starting and finishing near the Brandenburg Gate. Amongst that number were a dozen from Ballymena Runners and whilst none could match the exploits of the world record setting winner Eliud Kipchoge each one did perform with aplomb. 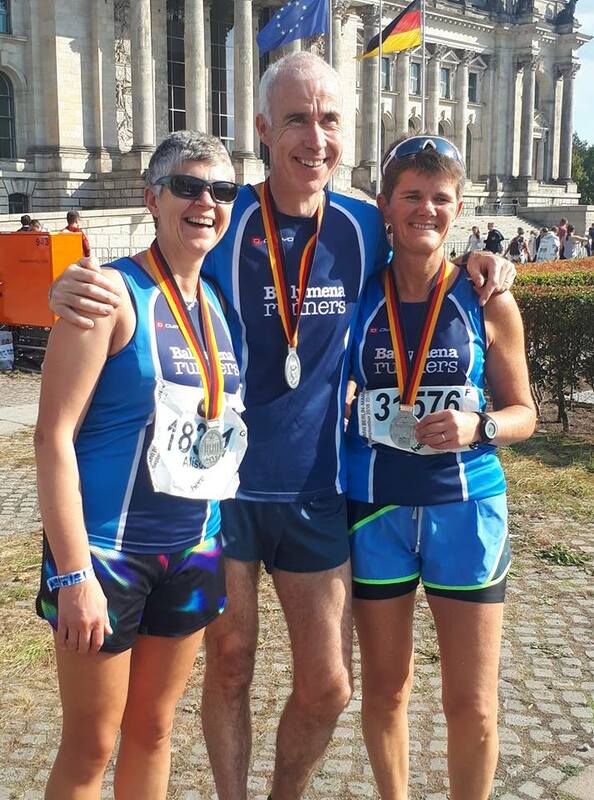 John Hasson was first home for the club in a fantastic 3:05:05, followed by Susanna Allen (3:48:35) and Linda Petticrew (3:50:18) while Glenn McGall (3:56:45) also dipped under the four hour mark. Also running from the club were Mairead Agnew, Peter Coulter, Emma Donnelly, Allison Douglas, Alison Foster, Norman Stephens, Sharon Stephens and Chris Young. 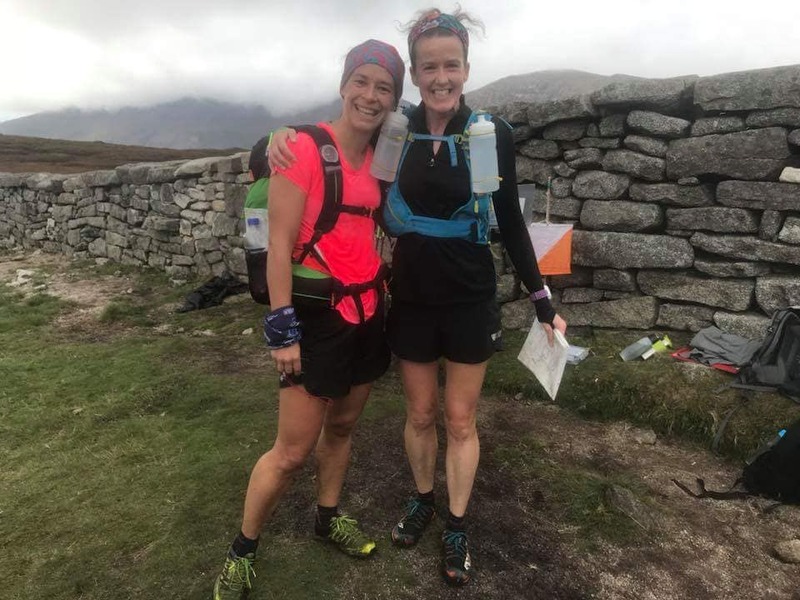 The Mourne Mountain Marathon is a classic two-day endurance and navigation event for teams of two, the only race of its kind held on the island of Ireland. 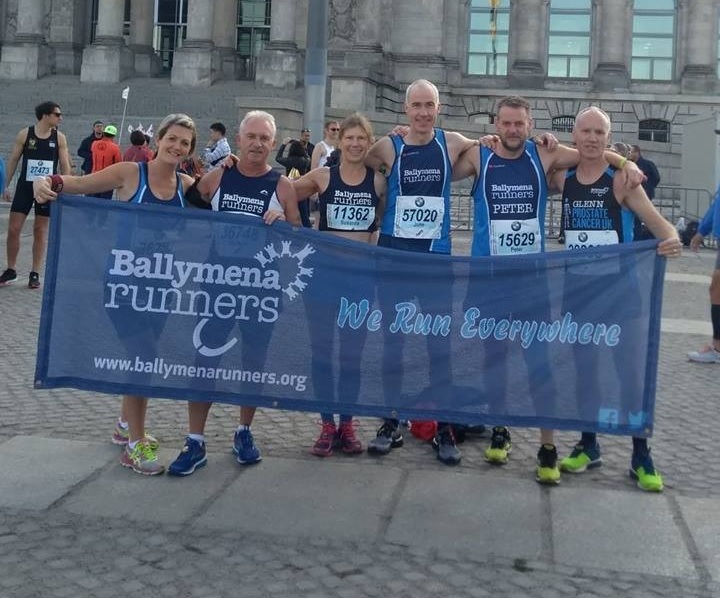 Ballymena Runners were represented by two teams, both of which came away with notable honours. Making their debut were Ruth Aiken and Gillian Wasson, competing in the 'C' class, who finished second overall and 1st female team. Tim Lowry and Mark Alexander weren't found wanting either in the 'B' class, claiming third spot overall and 1st male vets. A magnificent showing for both teams. Now in it's tenth year, the O'Brien Challenge is a 26km race (and associated five miler) along the trail at Davagh Forest near Cookstown. Ballymena Runners were represented by Seamus Kelly, Peter Faith and Terry Foley. Seamus came third overall in the 26km, while Peter claimed the runners-up spot in the five mile run. Billy Bamber and James Galbraith made their way to Magherafelt to compete in the Tafelta 10 Mile Road Race, an event which finishes on the track at the Meadowbank Sports Stadium in the town. Billy clocked 1:20:16 to finish first in his age category while James came home in 1:40:27. The club descended in large numbers on Portglenone for the annual 'Run The Bann' 5k race as part of the Gig'n The Bann festival. Amongst many strong runs on the night were Paula Worthington, who finished 2nd lady, and John Robinson who bagged a new personal best of 17:24.